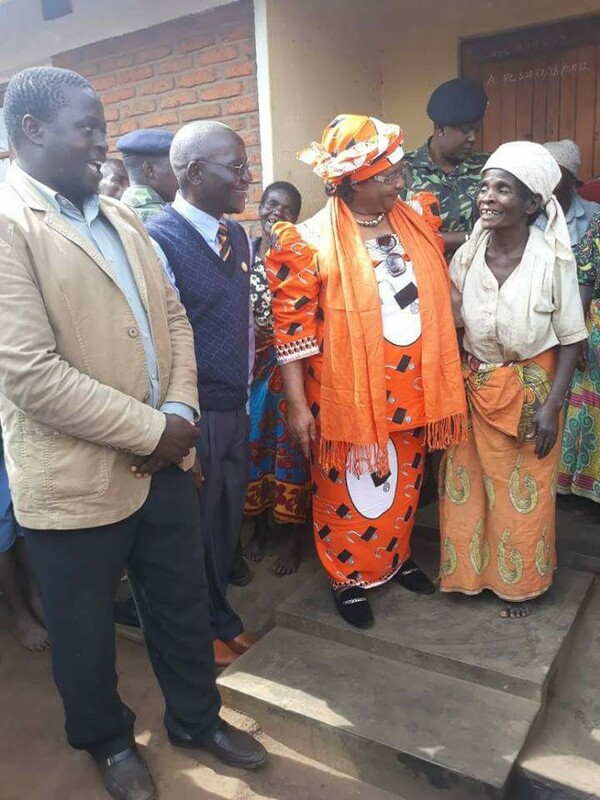 As the day draws near for the country to host its second tripartite election in 2019, former President Dr. Joyce Banda is also busy cheering people across the country and on Thursday she visited beneficiaries of Mudzi Transformation Trust at Kamphata, Lilongwe. Banda returned from self-imposed exile last month and since then she has been all over meeting people telling them that she is back home. Many people have interpreted Banda’s gesture as move to woo Malawians to vote for her in the forthcoming 2019 general election but Banda rejected these claims. 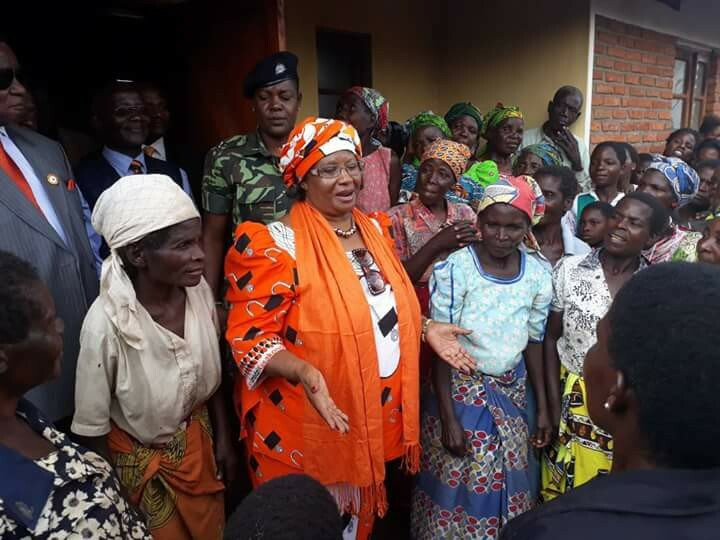 And on Thursday, Banda cheered Mudzi Transfomation Trust beneficiaries where she also addressed her party followers. “Today I visited a village in Kamphata, Lilongwe that benefited from the Mudzi Transformation Trust rural housing project that was implemented during my tenure. “I feel greatly honored and humbled that we were able to work together with chiefs and the communities to transform the lives of my fellow Malawians living in extreme poverty,” wrote Banda on his official facebook page. Banda left the country just after the May 20, 2014 tripartite election which saw President Professor Arthur Peter Mutharika emerging victorious. Her trip attracted mixed reactions with many accusing her of running away from cashgate scandal.